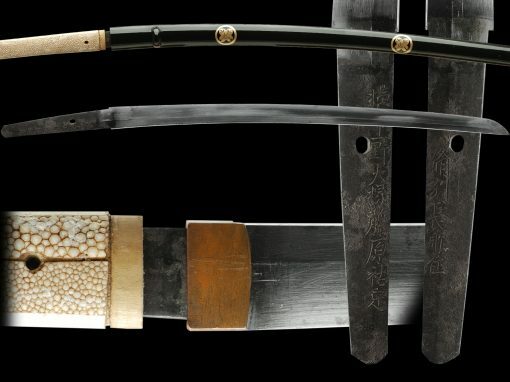 This is a fine Katana that has been attributed to the Ko Nio school by the NBTHK. 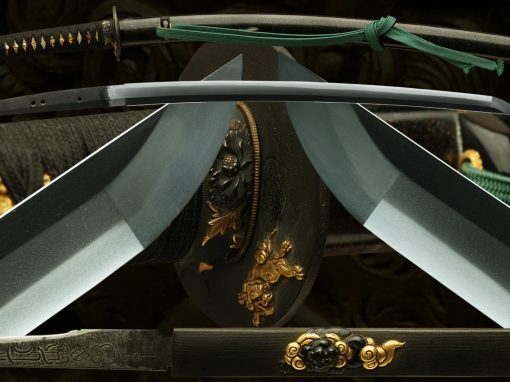 The Nio school is known to show Yamato traits in their workmanship. 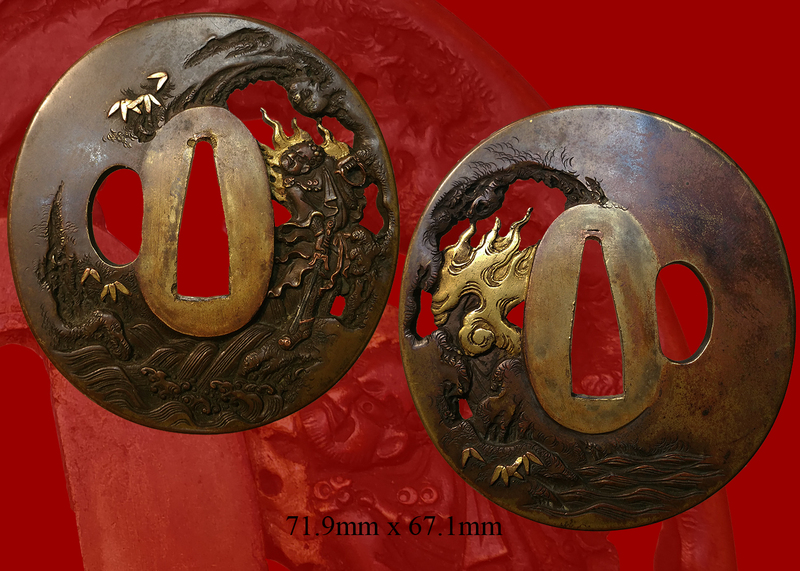 This is due to the fact that Suo was a manor of the Yamato Nara Todai- shi which was patronized by the Tegai. 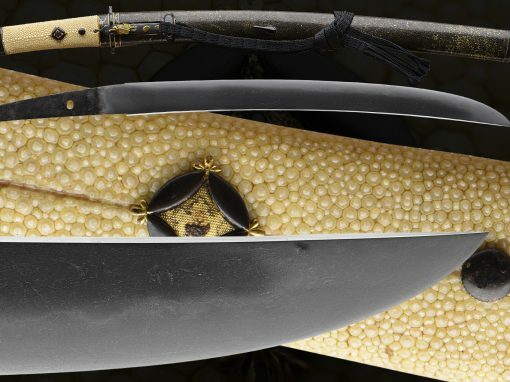 Yamato influence can be clearly seen in this blade. 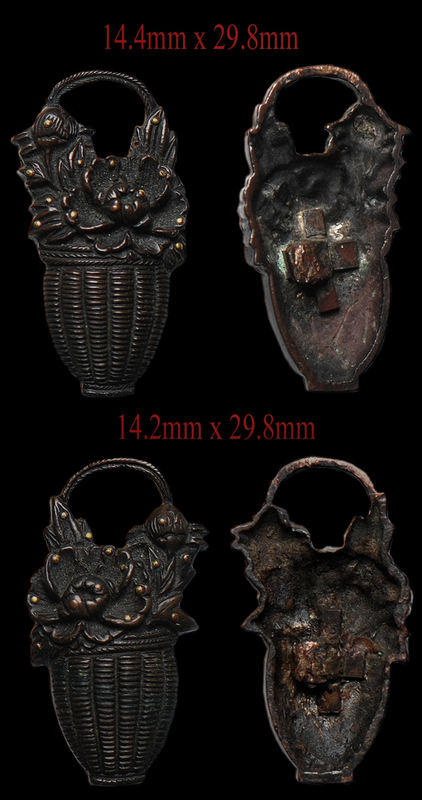 Of note is the high wide Shinogi-ji and the abundance of parallel hataraki in the sugu-ha hamon. 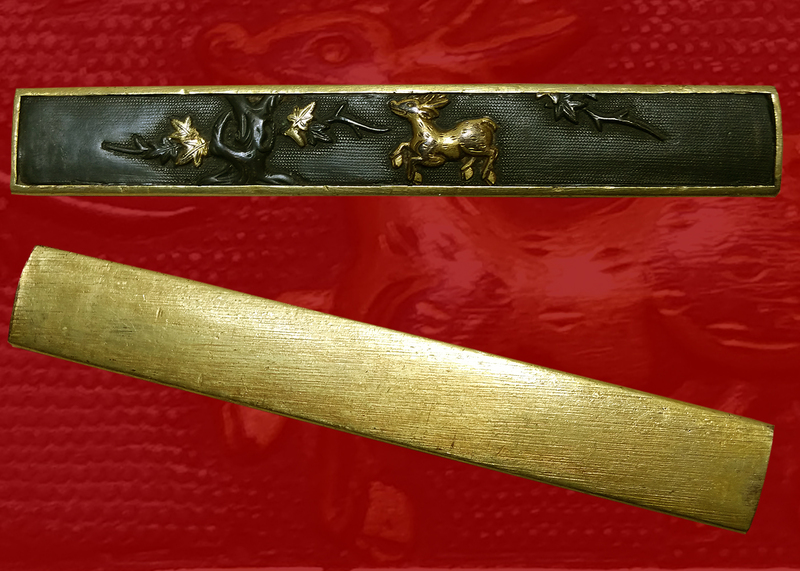 A unique utsuri, called Hera-Kage appears in the ji of this sword. 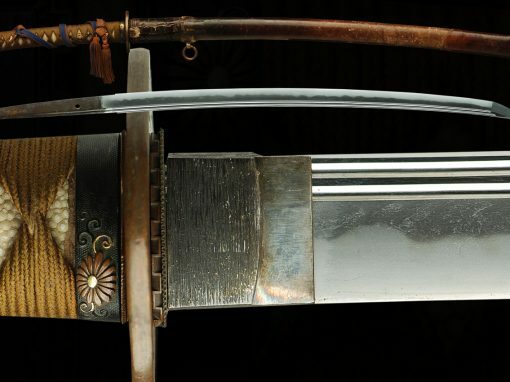 It begins looking similar to Mizukage and then raises into a white flowing band between the hamon and the shinogi-ji. 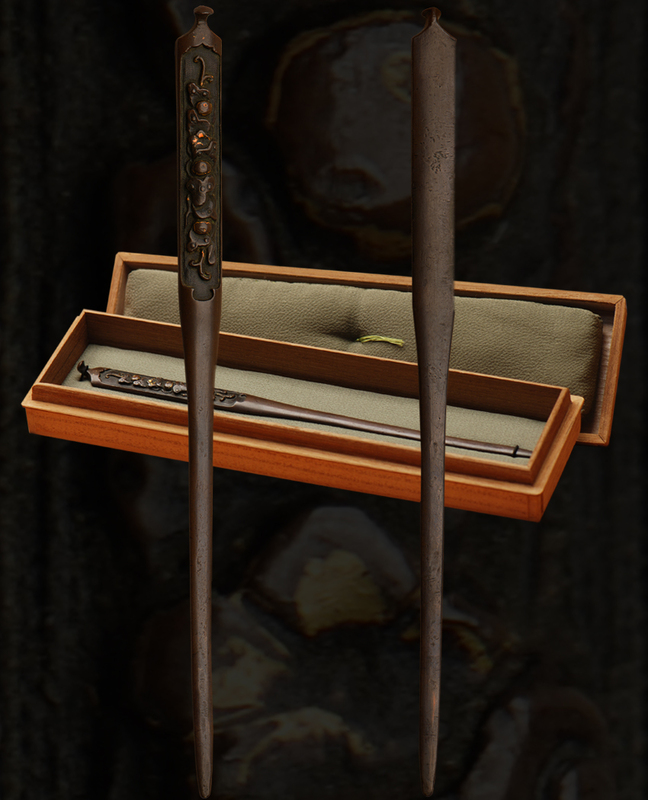 This utsuri is unique to the Nio school. 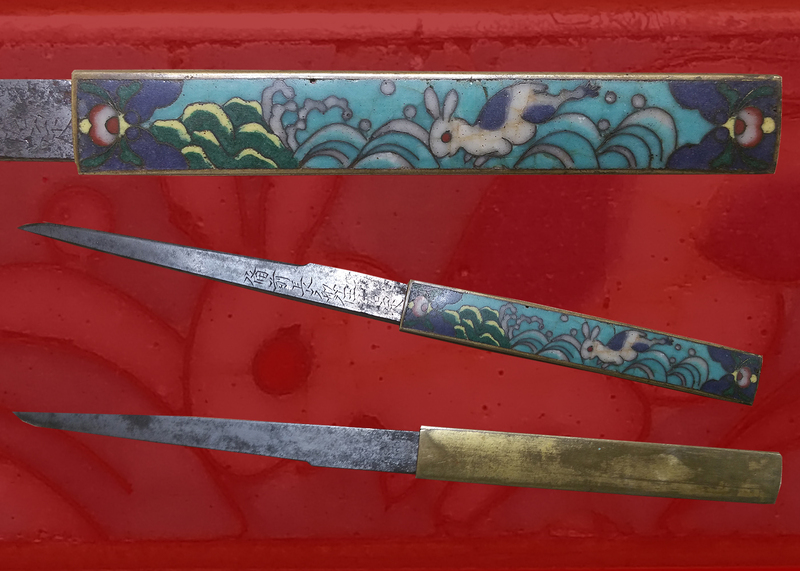 This katana received Tokubetsu Hozon papers which note the period of production as well as the school. 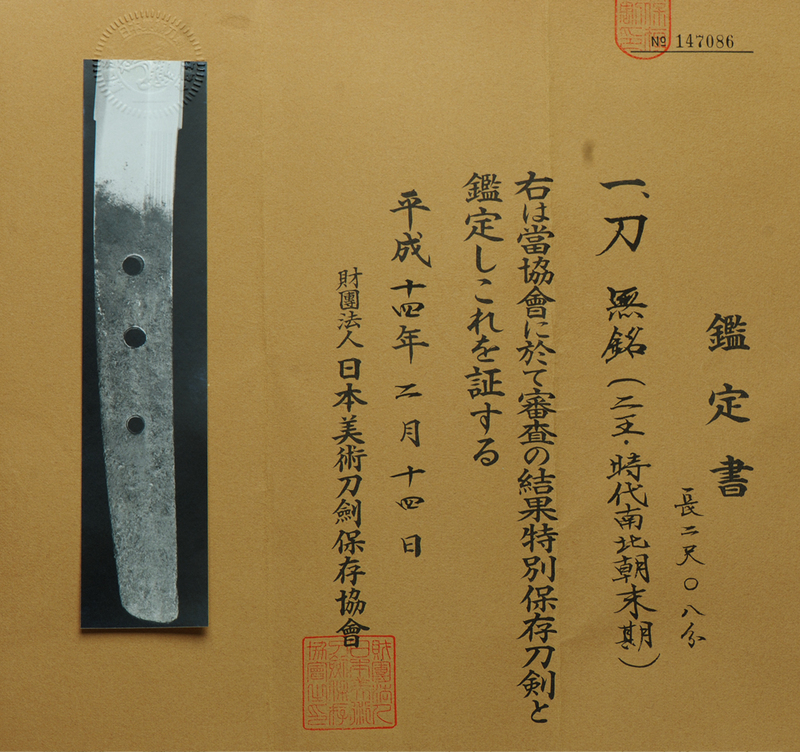 Of course Tokubetsu Hozon papers are highly desirable and even more so when they contain specific information beyond a school attribution. 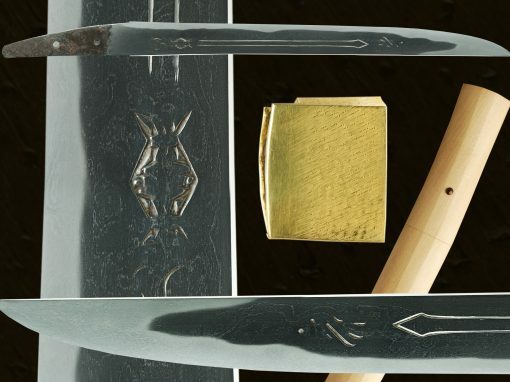 The paper states that this blade was made in the late Nambokucho period. 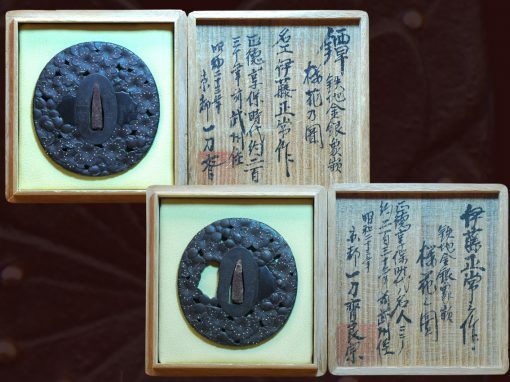 The Nambokucho period began in 1336-1392 and was also know as the period of the northern and southern courts. 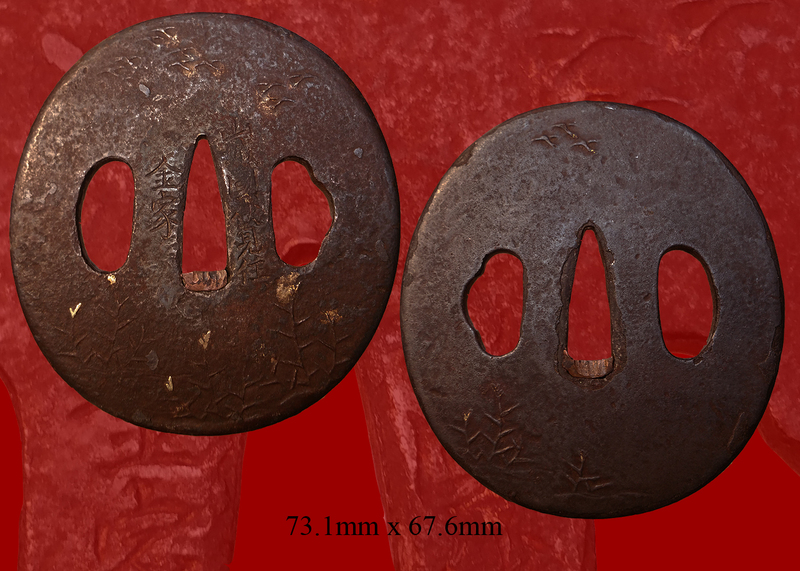 As indicated by late “Nambokucho” we know this blade would have been made in this time period. 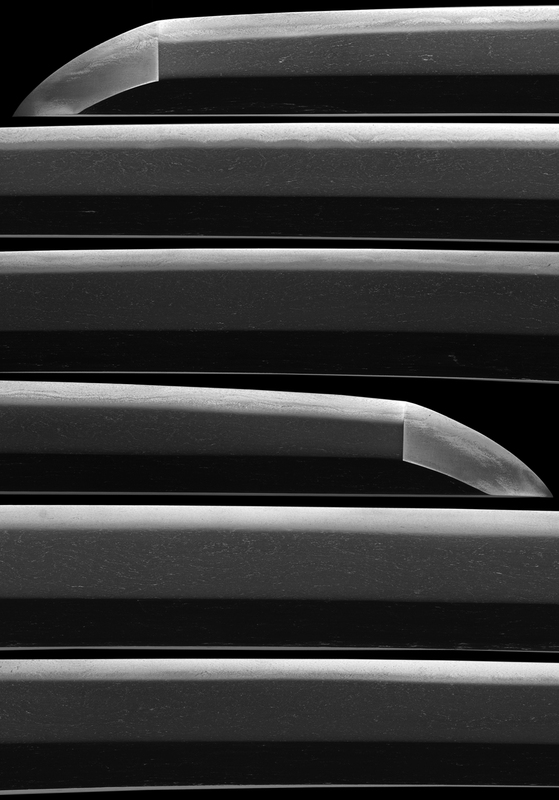 Having a high paper that nails down the period of production is highly valuable for our knowledge of this line of smiths. 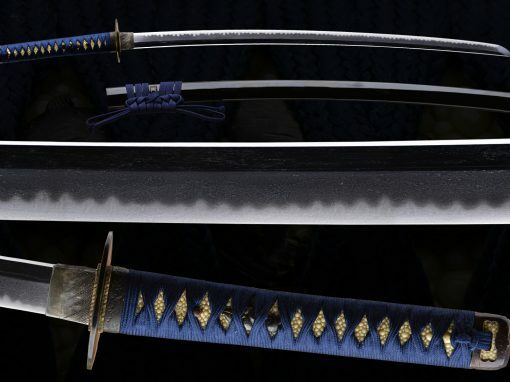 The nakago of this blade is nearly ubu. 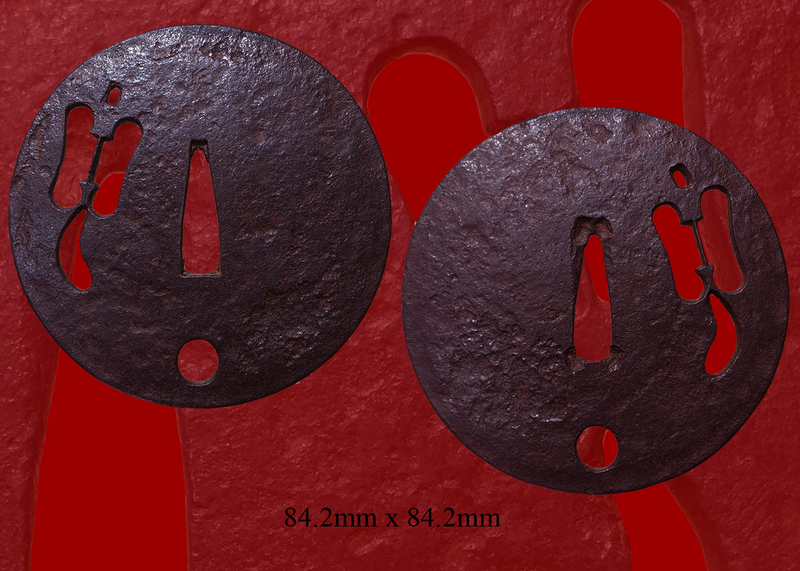 The nakago jiri appears original and this may have been slightly machi-okuri. 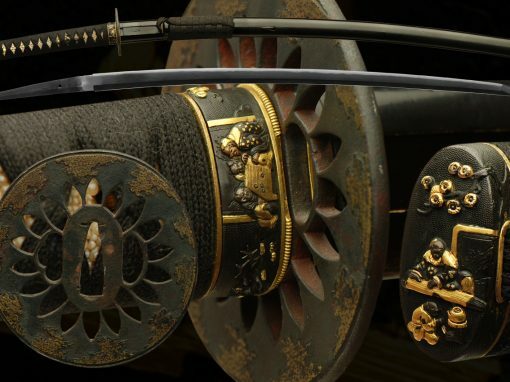 The overall sugata of this blade is the same as it was in 1370-1392. 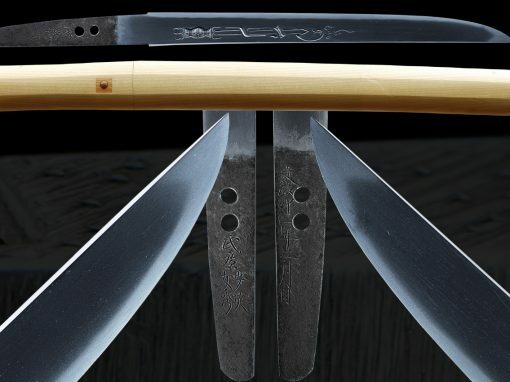 This blade being nearly ubu is very exciting and quite valuable as a learning tool. 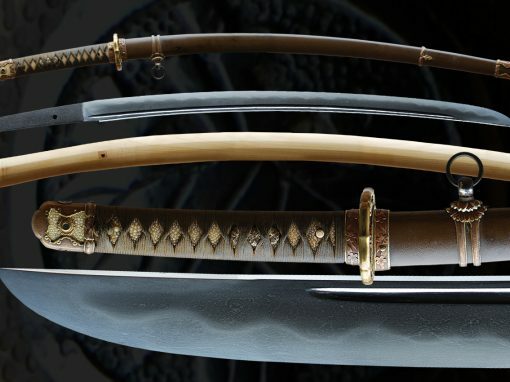 It appears to have been of Ko-Dachi length very similar to the later Uchikatana in length which was wielded with one hand. 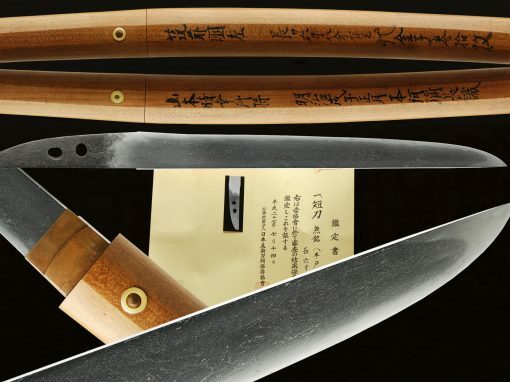 The health of this blade is quite remarkable as there are no kizu and the width of the hamon and boshi have been well preserved. 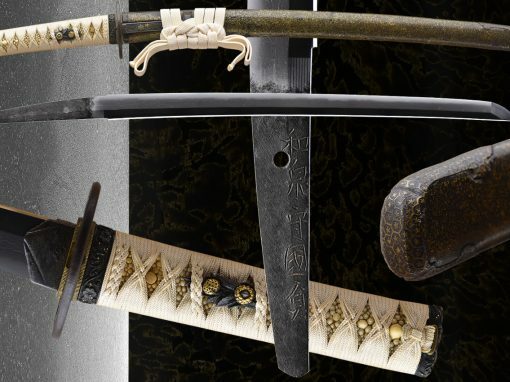 The restoration of this katana was completed in Japan under the guidance of Mr. Tanabe and the NBTHK. 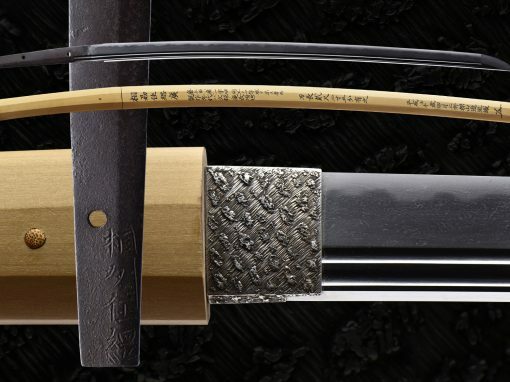 The geometry along with the clarity of polish is a testament to this sword and a silver habaki and shirasaya were all professionally made. 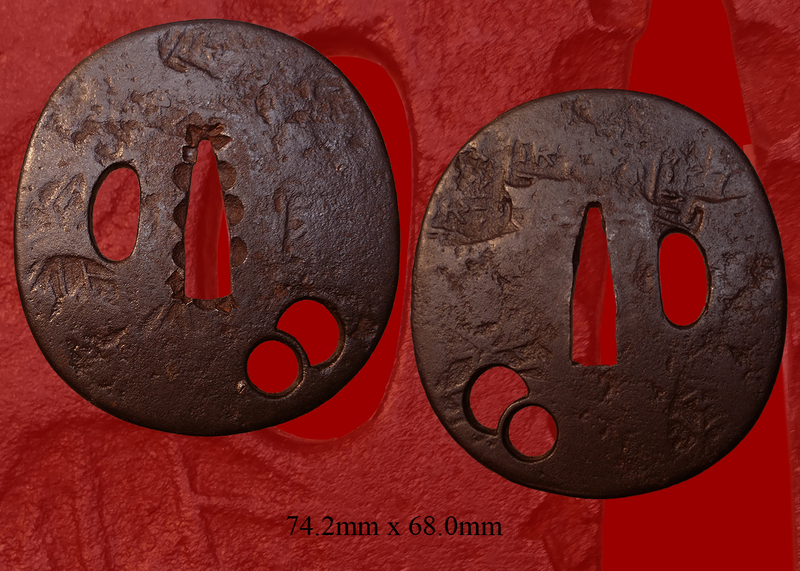 NIo starts from the late Kamakura to the Nanbokucho period. The Nio line has been active at Suo province(now Yamaguchi prefecture). 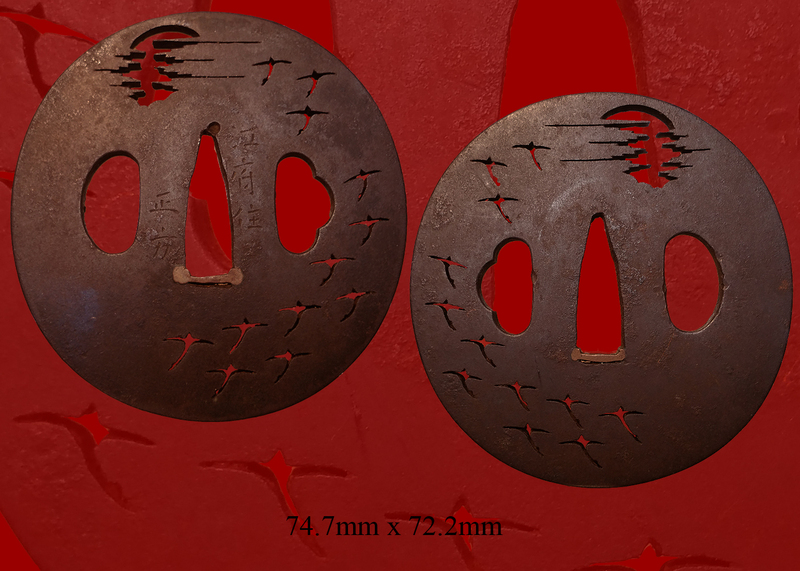 It is somewhat similar to Enju but has more soft and well grained jigane. The jigane of this NIo is top class and cannot be appreciated until in hand. 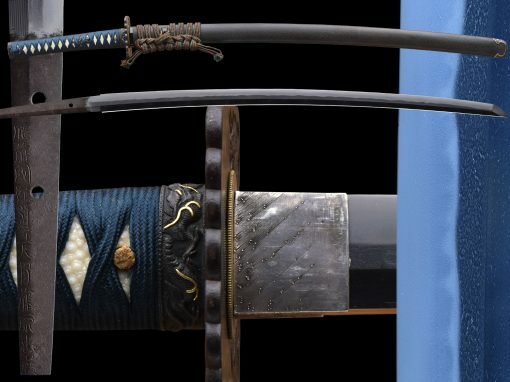 This blade is accompanied by a WWII Gunto Koshirae with Tsunagi. 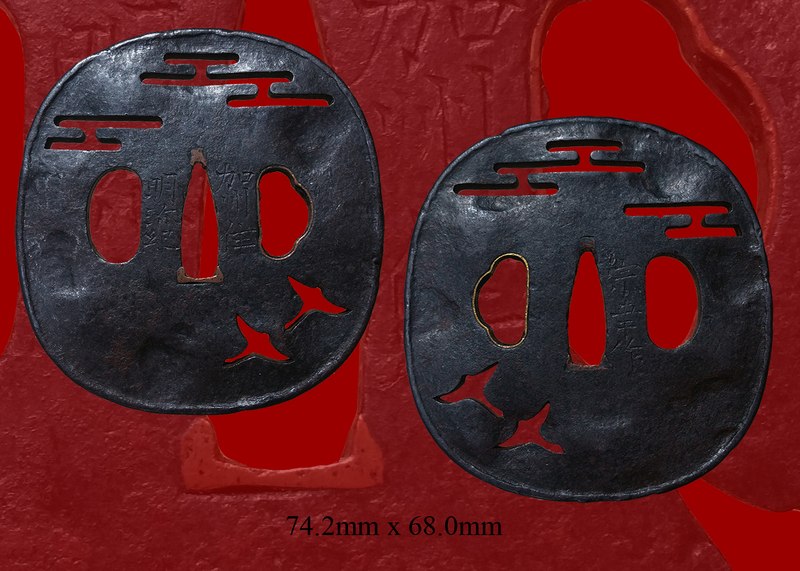 This is an early Gunto Koshirae with the sukashi style Gunto tsuba. 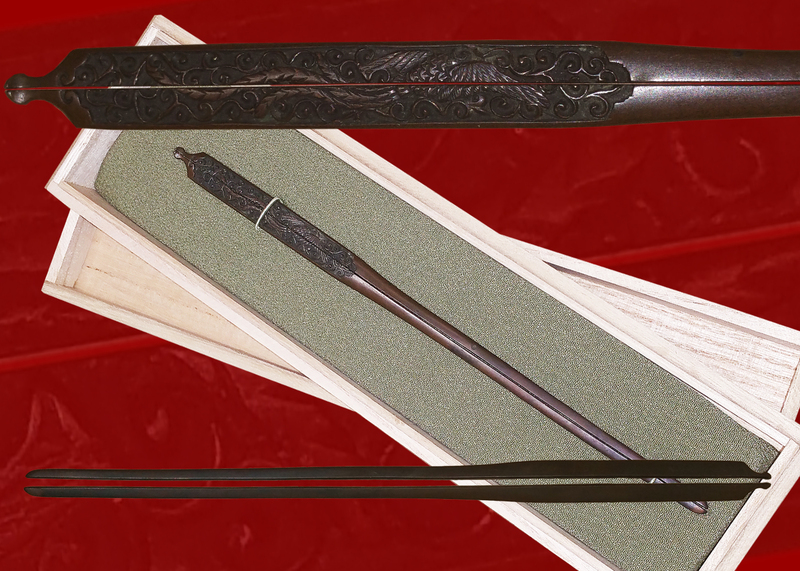 The saya is missing the retaining clasp but the overall condition is excellent. 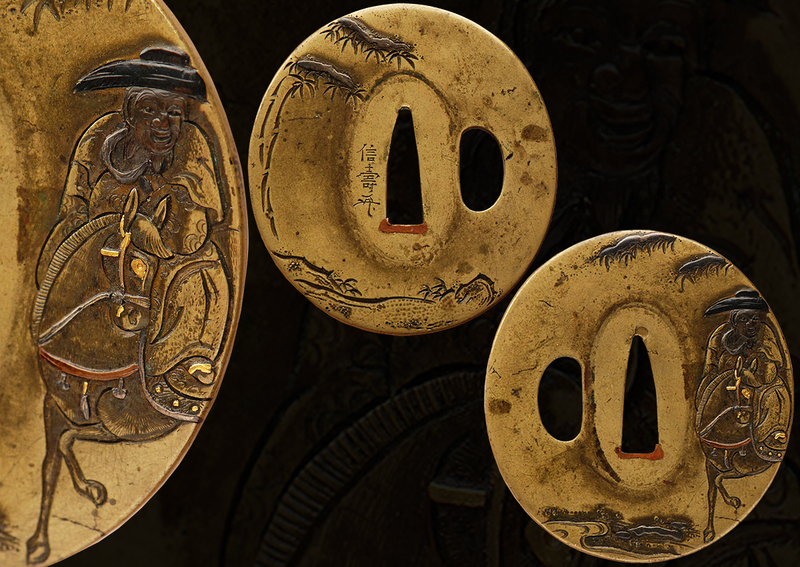 The mounts are adorned with a family Mon on the Kashira and the original tassel is intact. 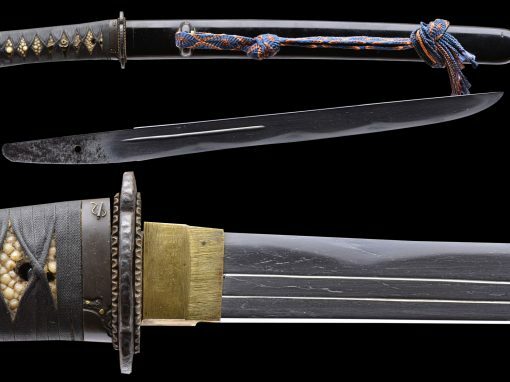 We can assume that this sword belonged to a Lieutenant or captain from an old Samurai family. 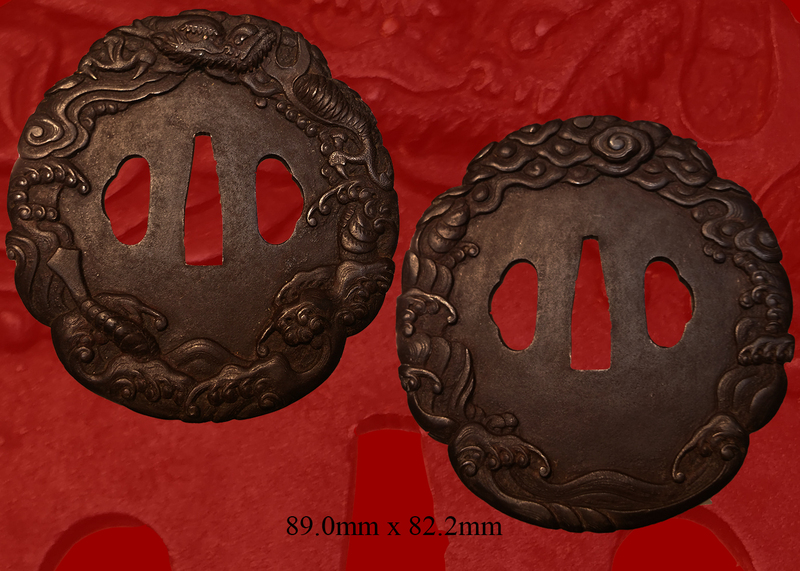 These mounts add an additional aspect to appreciate and enjoy. 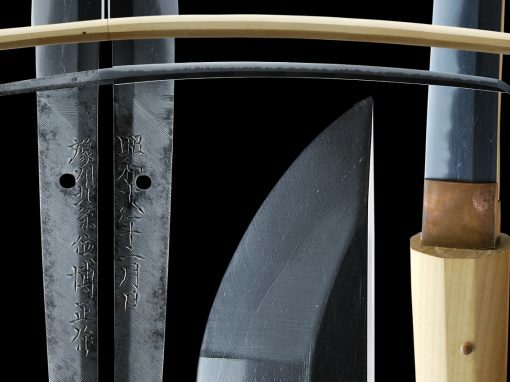 A special last koshirae for this 600+ year old blade. 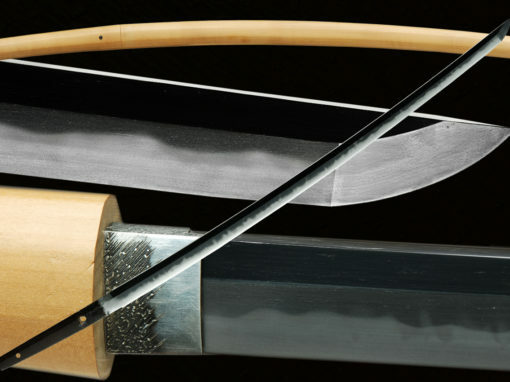 HAMON: Ko-nie deki with a soft nioi guchi. 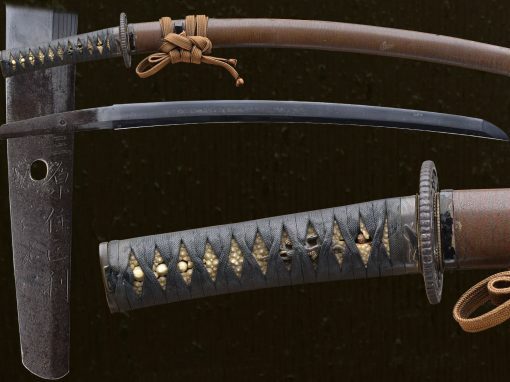 There is some ko gunome mixed in. 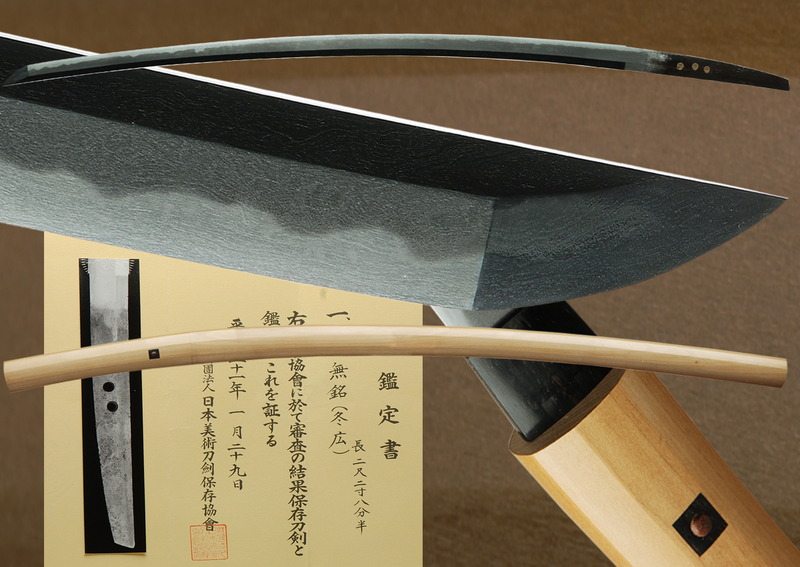 the hamon has abundant hataraki of ashi, hotsure and vibrant sunagashi in the monouchi. 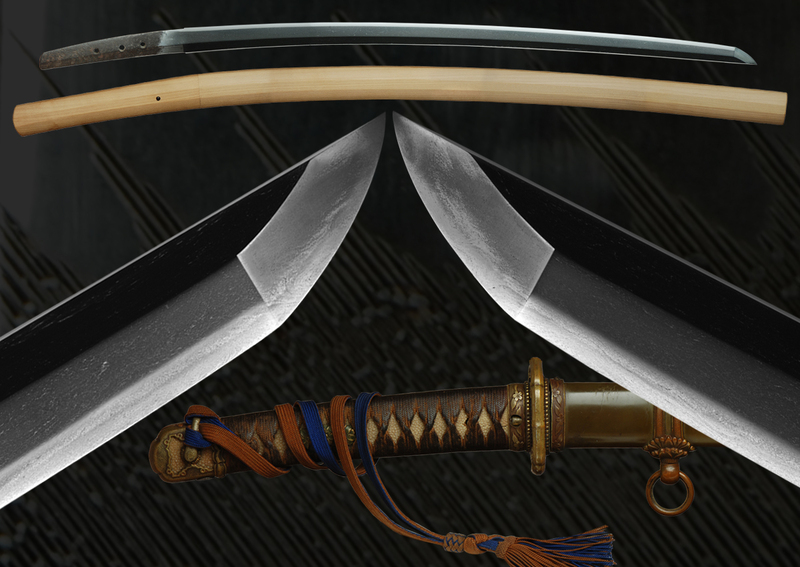 BOSHI: Midare komi with hakikake and kaen with a short return. 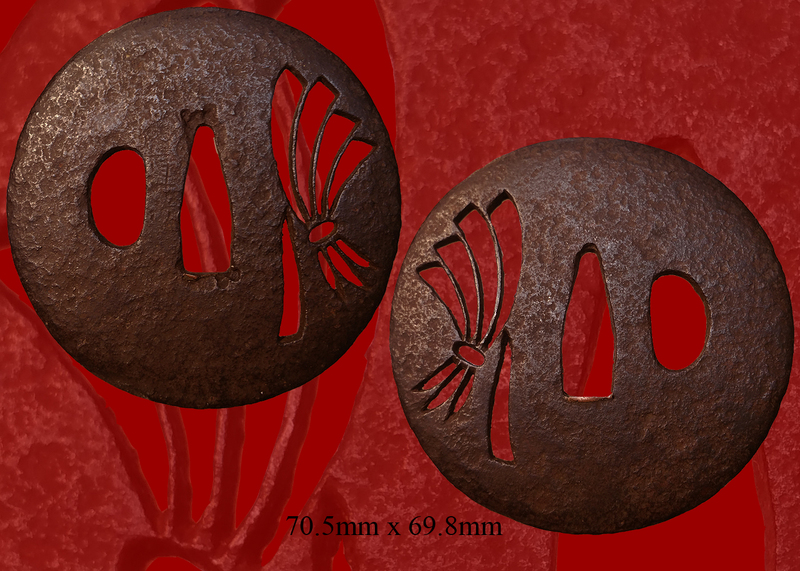 There is lively sunagashi within the boshi. 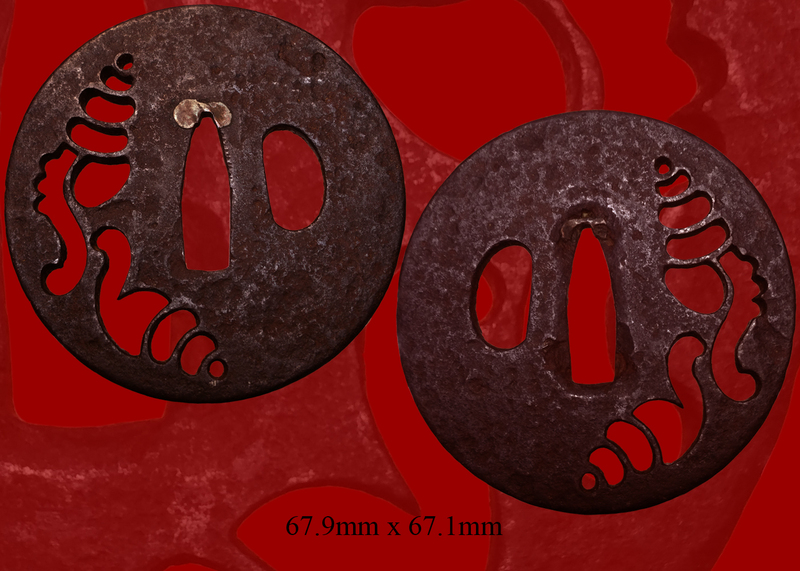 KITAE: Well forged itame with some mokume mixed it. There is “misty” ji nieand the unique hera-kage utsuri of the Nio school can be seen. 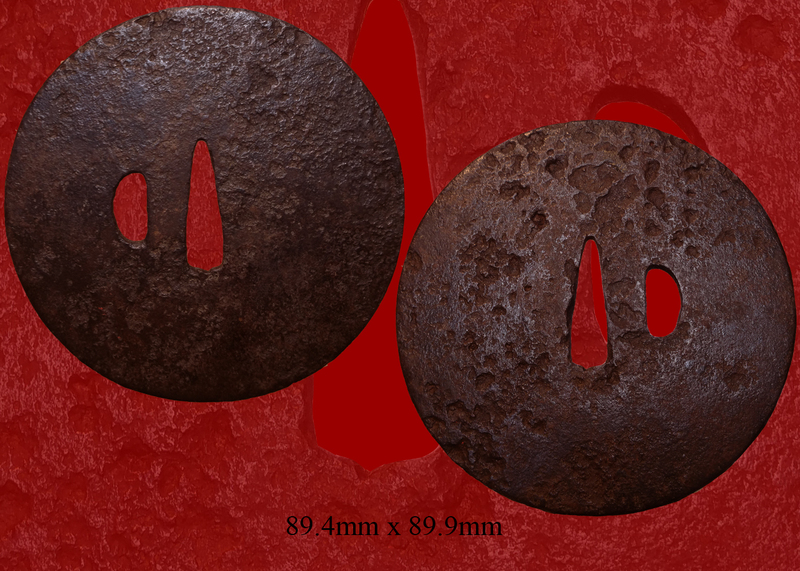 Email us if your interested in this item and remember to include the order number for this item: fss-689.